What can medicine learn from McDonald's? 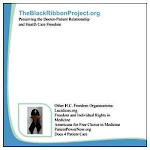 May 12, 2011 – Docs 4 PatientCare, the Benjamin Rush Society, and the Pacific Research Institute issued the following statements after filing an amicus brief in the U.S. Court of Appeals for the 11thCircuit supporting the district court’s decision that Obama Care is unconstitutional. That's the official press release. In my new role as Senior Health Policy Analyst for Docs 4 Patient Care, I was able to contribute behind the scenes by providing a comprehensive bibliography of peer-reviewed articles on cost-shifting in health care, as well as participate in strategy discussions while the brief was being written. Very exciting--and educational--process. Although the D4PC leadership initially wanted to argue from fundamental principles, we were advised that such arguments, especially at the appellate level, would be dismissed almost out-of-hand because of the past 70 years of Supreme Court rulings on Commerce Clause interpretation. The more effective place for those more fundamental arguments is in the media and the political arena--places we are doing our best to speak out frequently and consistently. If we are to rid ourselves of the PPACA and its disastrous effects on personal health care freedom, popular discontent must be loud and clear. Chances for complete repeal )after a successful 2012 election), as well as Supreme Court comfort with over-turning legislative action, both depend on public opinion of the law. I am convinced that the more people know about the details, the more they will oppose the law. Continue to write letters to the editor. Speak up and speak out. Invite conversations by wearing the Black Ribbon. The battle for the sanctity of the private doctor-patient relationship is still going strong.